Show Us Your Zoom Rooms! Ready to turn YOUR room into a powerful cloud conferencing room in just seconds? Turn any room into a cloud-based conference center! New! AVer CAM340 Google Hangouts Bundle - perfect solution for small spaces! 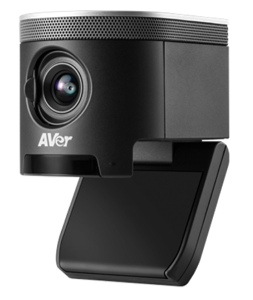 The newest camera from AVer is the perfect camera for any small meeting space, including all your Huddle Rooms. The CAM340, is small, compact and is mountable on any monitor or screen with it's build in camera mount. HD Quality, smooth operation with Plug-n-Play installation. 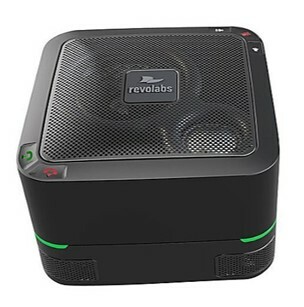 We've added the perfect sized speakerphone from Revolabs, the FLX 500 - this kit creates the perfect solution for huddle rooms, whether enclosed or in an open space. This is a great huddle room bundle. Tested by us and ready to go. 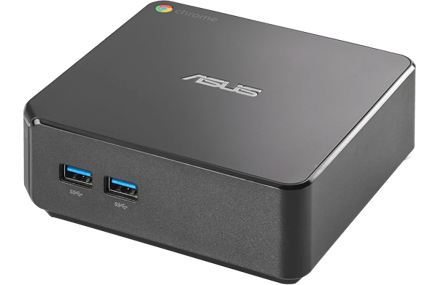 ASUS Chromebox for meetings melds the usability of Google+ Hangouts and the collaborative power of Google Apps for highly productive high-definition video conferencing. Google's user-centric approach simplifies things so you can set up meetings in minutes. At VCG, we want our kits to as easy to install as they are to use on a daily basis - with the ASUS Chromebox for Meetings, you have the computing horsepower to drive your meetings to the next level - with the power of an Intel i7 Quad Core and integrated HD Intel graphics. Easily integrate monitor, camera, audio into any room or meeting space. Hangouts, although simple to use on a laptop for single participation, is a bit more complicated when using within a conference, meeting or training room. We believe you should get high quality components that have been tested and give you the best experience for your dollar. VideoConferenceGear.com tests everything before we recommend it or sell it online. Click “Add to Cart” above to transform your space into a collaboration room instantly, without the huge price tag or complicated equipment of traditional conferencing devices! Are you ready to turn YOUR room into a powerful cloud conferencing room in just seconds? We provide installation and integration services all over the USA! Questions? Just click CHAT NOW below. Get great deals on the best video conferencing gear right in your inbox!